The Disneyland Resort, now bursting with even more live entertainment, has a lineup of unforgettable thrills and enchantment to welcome guests for a summer of fun. Well-known as the Happiest Place on Earth, the Disneyland Resort Just Gets Happier with the spectacular, new stage show “Mickey and the Magical Map” and Fantasy Faire, a new storybook village with Disney Princesses and two Princess-themed shows at the Royal Theatre, all at Disneyland Park. 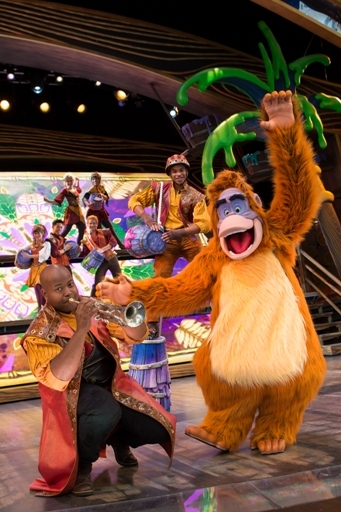 The new, live shows extend the resort’s legacy as a magical stage for live entertainment, a place where children often enjoy their first experience with live performers and theatrical storytelling. In addition, Cars Land is going full throttle with excitement for the whole family, and Buena Vista Street creates an entertaining new vibe at the reimagined Disney California Adventure Park. Guests also are enjoying Limited Time Magic, experiences that surprise and delight guests in fanciful ways throughout 2013. The all-nighter is just the beginning of the fun at the Disneyland Resort, a world-class, multi-day vacation destination with three hotels, the Downtown Disney shopping, dining and entertainment district, and two world-class theme parks. The Disneyland Resort in California features two spectacular theme parks – Disneyland (the original Disney theme park) and the newly reimagined Disney California Adventure Park – plus three hotels and the Downtown Disney District, comprised of unique dining, entertainment and shopping experiences. 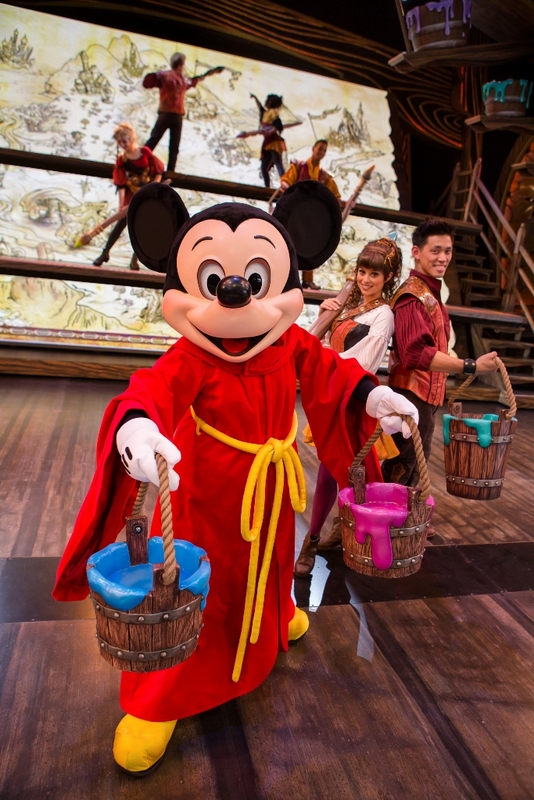 “Mickey and the Magical Map” is a spectacular, live stage show presented at the Fantasyland Theatre, beginning May 25 in Disneyland Park. It takes guests on a musical adventure with a mischievous Mickey Mouse and the biggest character on stage, the Map. It spans the entire stage and has magical powers that come to life through amazing theatrical wizardry, colorful visuals and wonderful music. The journey includes encounters with such classic Disney characters as Pocahontas, Mulan, King Louie from “The Jungle Book,” Tiana from “The Princess and the Frog” and others. “Mickey and the Magical Map” is designed for Disneyland guests of all ages and represents Disney storytelling at its most thrilling. Fantasy Faire, a new storybook village near Sleeping Beauty Castle, immerses guests in timeless Disney tales. They can meet several Disney Princesses as they stroll through the beautiful Royal Hall, and then enjoy two Princess-themed shows at the Royal Theatre. The musical shows tell the tales of Rapunzel (“Tangled”) and Belle (“Beauty and the Beast”) as presented by Mr. Smythe and Mr. Jones, a pair of vaudeville-style Renaissance storytellers full of good humor. The princess heroine, Rapunzel or Belle, joins in the fun and remains with the audience to greet guests following the story. The newly expanded Disney California Adventure continues to be a popular vacation destination, with guests enjoying Cars Land, based on the popular Disney•Pixar animated feature “Cars,” and Buena Vista Street, an area themed to 1920s-1930s Los Angeles that adds more stories and entertainment experiences. Cars Land re-creates the town of Radiator Springs, along Route 66, and the highlight of the fuel-driven fun is Radiator Springs Racers. Racers never know which car will win as they go for the Piston Cup. On Buena Vista Street, entertainers such as “Five and Dime” and the Carthay Circle Theatre Restaurant offer guests more to do, day and night. Fans of the Disney Junior television hits “Sofia the First” and “Doc McStuffins” will enjoy interacting with these characters at “Disney Junior – Live on Stage!” They join the gang from “Mickey Mouse Clubhouse” and “Jake and the Never Land Pirates” in a show that invites preschoolers to sing, dance and play with enchanting puppets, fanciful scenery and lively music. Sofia the First, Disney’s first little girl princess, and other characters in the show share ideas with guests, encouraging them to become part of the stories. Doc McStuffins consults her Big Book of Boo Boos to help diagnose and mend her toy friends.